The International Court of Justice in Hague recently ruled that Beijing has no historical claims to the South China Sea which rightfully belongs to Philippines and the former should stop breaching the sovereignty of the latter by exploration of resources in the Sea. 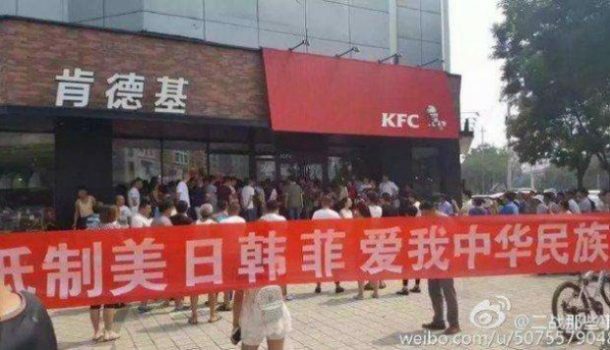 The result was Chinese citizens boycotting American brands like KFC and Apple as a show of patriotism. Now, what does that US, KFC and Apple have to do with anything? It’s an issue between Philippines and China, right? Well your answer is simple. US is seen as a vehement ally of the Philippines and has supported the smaller nation against China. Apple’s iPhone is considered the ultimate American symbol and therefore, became the main target for the Chinese to channel their frustration against. 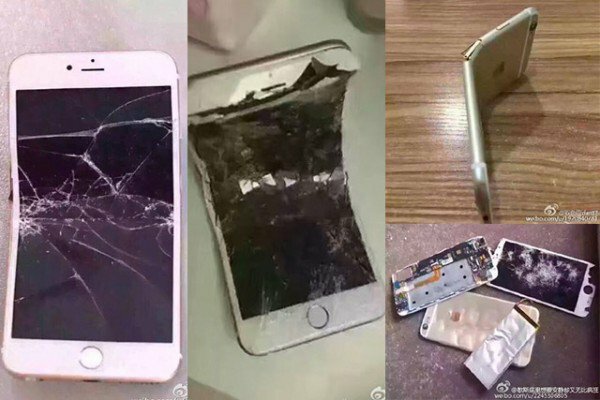 Immediately after the decision of landmark was announced on national and international news, videos and images of smashed iPhones began to get viral on Chinese social media. This whole iPhone smashing craze began after some Chinese patriots began motivating others to boycott the brands of countries that have contributed to the ruling against China. This way their sales will drop and they will suffer heavy losses. “Let’s all start boycotting today. Do not buy goods from South Korea, Japan, America and the Philippines. Do not travel there. I cannot fight on the front lines, but I will not be the foolish citizen who provides bullets for the enemy,” a Chinese wrote on Weibo, which is the Chinese version of Twitter. These messages were challenged by others who dared these patriotic citizens to destroy their costly iPhone if they truly mean what they say. And many followed suit. Messages like “Take out your iPhone, if you don’t smash it, you aren’t Chinese,” and images of smashed iPhones and as well as videos of youngsters smashing their Apple products with some handy tool like hammer etc. started cropping up online. It became so widespread that Xinhua- a state-owned news channel warned people not to take out their frustration on their own possessions, dubbing these actions as an “irrational act of patriotism”. Less fundamental Chinese reasoned that although their country has their full support and loyalty, the act of smashing their iPhone is futile as they purchased it with their hard-earned money. However, they promised not to buy the new iPhone 7 when it is launched. 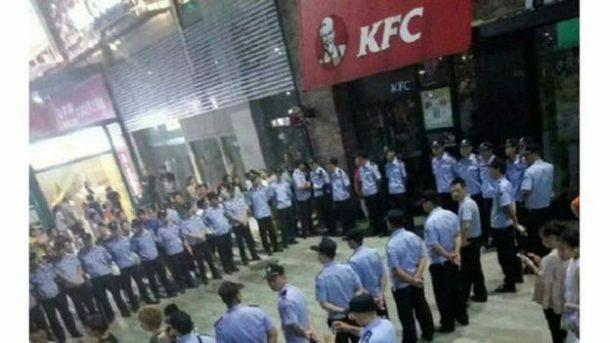 Alongside Apple, KFC was also boycotted in at least 17 cities of China. One of the outlets had a big banner covering it that read: “What you eat is KFC. What is lost is the face of our ancestors”. Chinese have a history of destroying products of the countries they resent, as a display of bizarre patriotism. Few years back, a similar territorial conflict with Japan over the right to Diaoyu Islands, people resorted to destroying Japanese cars in the streets as a protest. 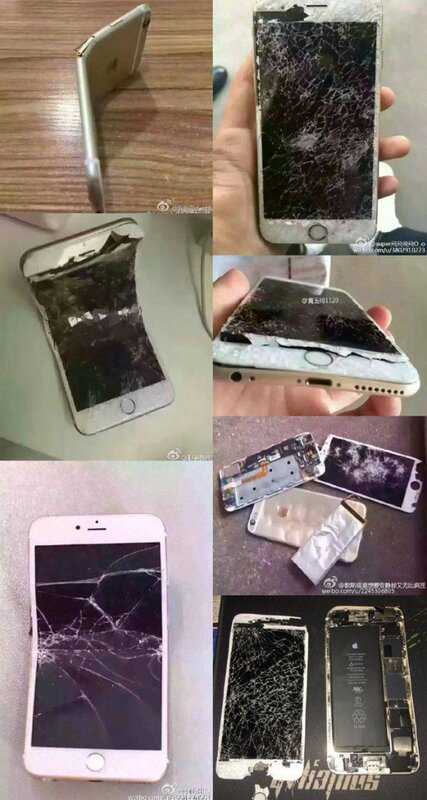 It is a big deal for Chinese to destroy their iPhones like this because they love Apple products. China is the largest market for Apple’s iPhone, beating US to it just recently. I don’t know, I don’t see myself ever hammering my iPhone. What about you?